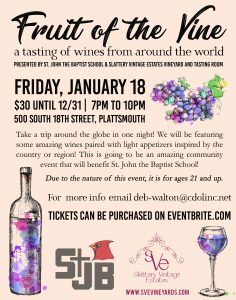 Please join us for our second annual “Fruit of the Vine” community event, a tasting of wines from around the world. 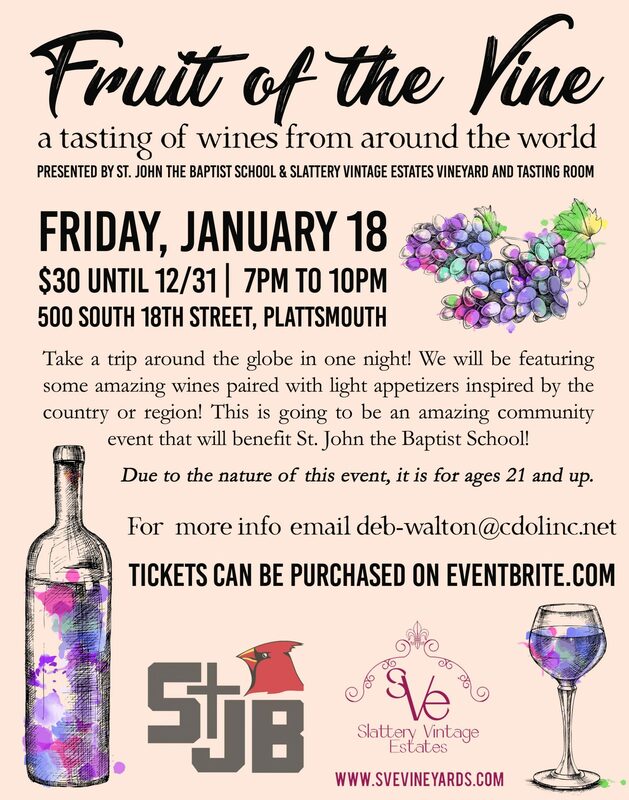 The event is presented by St. John the Baptist School and Slattery Vintage Estates Vineyard and Tasting Room. Take a trip around the globe in one night. Amazing wines will be paired with light appetizers inspired by the country or region. Tickets are $30 a person until December 31, 2018 ($35 if purchased after December 31st). To purchase tickets online, click here. Due to the nature of this event, attendees must be at least 21 years of age.